Premiere Camping and Solar Eclipse Viewing Destination. *Camping pass valid for August 17-23. Same price per person whether you stay 1 night or all 5 nights. Hurry! Spots are Selling Quickly! Directly in the Path of Totality for the Great American Eclipse of August 21, 2017! Observers there will see (appx.) 2m 3s of totality! Mountian Creek Camping area is the closest campsite location (just 15 minutes) to Big Summit Prairie, where the 2017 Oregon Solar Eclips gathering is being held. The campsite is only 5 minutes from the historic town of Mitchell, Oregon where nearly 50,000 people will gather to witness this historic event! Due to our location in direct Totality of the Solar Eclipse campsites are selling quickly. Mountian Creek is a beautiful remote ranch location that is prime viewing for the Great Solar Eclipse. 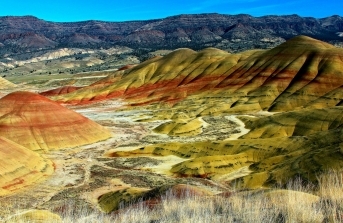 You're only minutes away from several nearby attractions such as the Painted Hills and the John Day Fossil Beds National Monument. The property has several man-made ponds and natural rivers that run through the camping area. 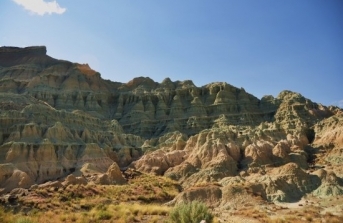 Feel free to hike or bike around the property and take in all of the breathtaking views! These are self contained dry camping spots with public restrooms available. Please come prepared with food and water. 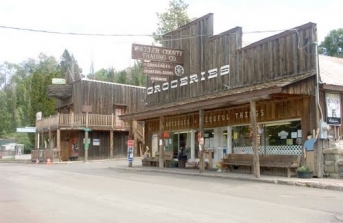 However, the town of Mitchell is only a 5-minute drive from the camping area.